Over 30 years after its self-distributed release, the masterpiece of screenwriter-director John Cassavetes retains the power to shock and unnerve for its raw, often harrowing depiction of a blue-collar Los Angeles family on the rocks. 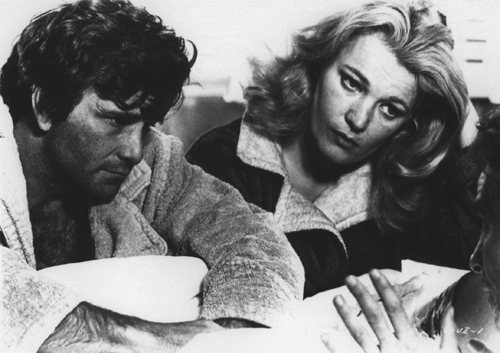 At its trembling heart, Gena Rowlands' performance as Mabel Longhetti, wife of everyman Nick (Peter Falk) and mother of three, stands as a virtually unmatched tour de force. As a woman struggling to reconcile who she thinks she should be--a wife, mother, lover--with the anarchic spirit she really is, Mabel is the kind of complex woman's role that is still all too rare in Hollywood. Set in a shadowy postwar Los Angeles, THE PROWLER focuses on a wealthy but neglected housewife (Evelyn Keyes) who spends her evenings alone, with only her husband's voice on the radio for company. 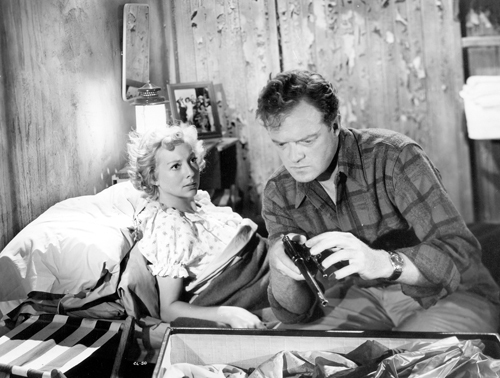 When a peeping tom spooks her, a calculating cop (Van Heflin) answers the call, and turns her ordered life upside down. THE PROWLER was the third of five films Losey made in Hollywood, and the most critically and commercially successful. The following year Losey was officially blacklisted and soon embarked on a career abroad where he eventually earned a reputation as a European auteur. shadowscapes and architectural metaphors. Ultimately, however, the film is less about psychoanalysis than it is about Stanley Cortez's beautifully photographed postmodern pastiche of gothic and expressionist imagery. Quite possibly as relevant today as it was on its debut over 30 years ago, WORD IS OUT: STORIES OF SOME OF OUR LIVES is widely considered the first feature-length documentary on gay and lesbian identity. Offering a vastly different perspective on gay and lesbian identity in America than was common at the time, the film presents 26 diverse gay and lesbian individuals who describe with profundity and humor their struggle to live a decent life in America, in spite of prejudice, discriminatory laws, and society's unwillingness to afford them respect and equality. 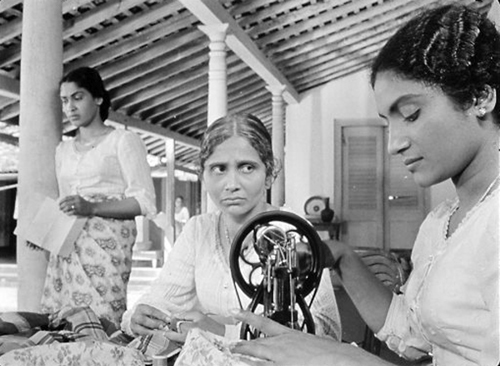 A seminal work in Sri Lankan cinema, GAMPERALIYA launched "a revolution, not only in the way films were made, but also in their content," according to producer Anton Wickramasinghe. Based on the novel by Martin Wickramasinghe, the film focuses on Piyal, a teacher and member of the new rising middle class who falls in love with the daughter of his village's leading aristocratic clan. Defensive positions are assumed and the girl's parents insist upon a marriage to a stuffed shirt of her own class. For its elegant style, GAMPERALIYA has been compared to Satyajit Ray's Apu Trilogy. Made several years before director Lawrence Kasdan's better-known THE BIG CHILL (1983), John Sayles' directorial debut is a sometimes funny, sometimes melancholy look at the lives of a group of formerly radical individuals, seven friends who gather for a reunion in New Hampshire ten years after they were arrested in Secaucus, New Jersey, on their way to a demonstration in Washington. Sayles, in what has become his trademark style, underplays the drama in these rather ordinary lives, giving us a group portrait of persons settling uncomfortably into the middle-class existences they once abhorred. Lacking BIG CHILL's melodrama, what emerges is a film about a baby boomer generation growing old before its time. 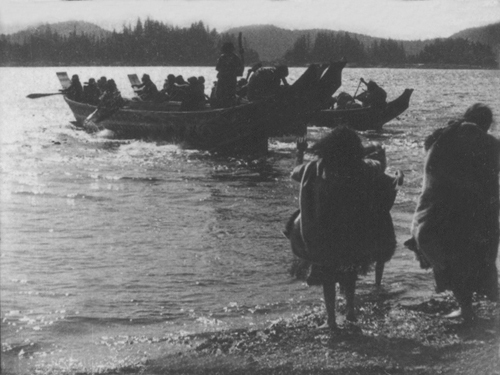 Almost a decade before Robert Flaherty immortalized the Inuit people in NANOOK OF THE NORTH (1922), Edward S. Curtis filmed IN THE LAND OF THE HEAD HUNTERS with an indigenous North American cast. Like Flaherty's "documentary," HEAD HUNTERS was both a reflection of contemporary life among the Kwakwaka'wakw people of British Columbia and a fiction that combined melodramatic elements with tribal customs. Motana, the son of a chief, must battle an old medicine man for the right to marry Naida, who has been promised by her father to the tribe of the head hunters. Around this plot, Curtis stages many authentic ceremonies, including the tribe's potlatch ceremony. The Vitaphone Corporation produced thousands of shorts featuring musicians, vaudeville acts, and radio stars between 1926 and 1930, recording the soundtracks on large phonograph discs for playback in theaters. When sound-on-disc technology became obsolete, Vitaphone shorts began to fade into oblivion. Tonight's program offers an eclectic mix of Vitaphone short subjects that celebrate the often raucous talents that have made these shows must-see events. The program includes: OHMAN & ARDEN (1927); JOSEPH E. HOWARD, AMERICA'S POPULAR COMPOSER (1928); THE OPRY HOUSE (1929); TEX MCLEOD "A ROPE AND A STORY" (1928); TAL HENRY AND HIS NORTH CAROLINIANS (1929); ALWAYS FAITHFUL (1929); LOU HOLTZ "IDLE CHATTER" (1929); RED NICHOLS AND HIS FIVE PENNIES (1929); PAT O'BRIEN "CRIMES SQUARE" (1930); BEN BERNIE AND HIS ORCHESTRA (1930); HELEN MORGAN "THE GIGOLO RACKET" (1931). 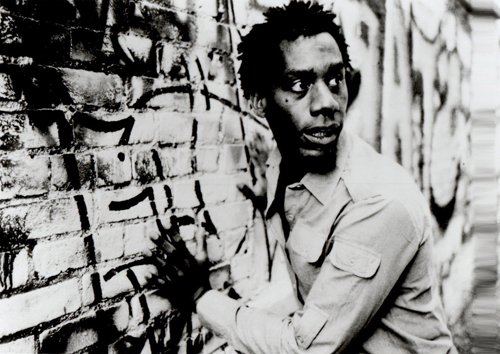 For his fourth feature, John Sayles gave the well-worn sci-fi trope of the alien a revitalized punch with African-American actor Joe Morton as a visitor from beyond the stars. After ditching his malfunctioning spaceship at Ellis Island, Morton's mute newcomer (known only as "The Brother") navigates the customs of Manhattan's residents while searching for a place to call home. In his initial refuge in a Harlem bar, he encounters a cross section of earthlings who read him--and the world--through a puzzling prism of race, class, and ethnicity, a scenario Sayles taps for both brilliant comedy and salient commentary. Director Edgar G. Ulmer's complex psycho-melodrama is undoubtedly worthy of rediscovery. A flashback-structured tale of a sociopath's remorseless drive for station and wealth, RUTHLESS (often referred to as Ulmer's CITIZEN KANE) employs a relentless undercurrent of emotional violence. In an interview with Peter Bogdanovich, Ulmer described his feature as "a Jesuitic morality play… a very bad indictment against 100 percent Americanism--as Upton Sinclair saw it." 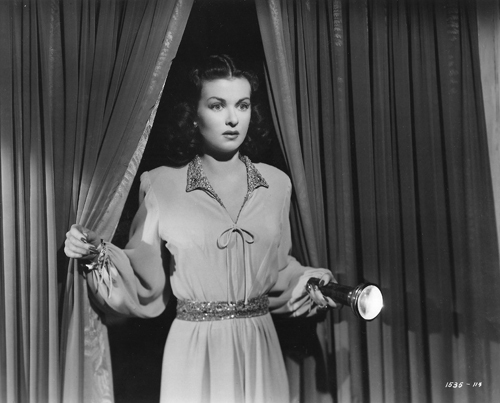 The film's chilling, malevolent tone is personified in a starkly muted performance by the lead—and frequent screen cad—Zachary Scott. Josef von Sternberg's first film—shot on location in California for less than $4,800 in San Pedro, Chinatown and the San Fernando Valley—was possibly Hollywood's first "independent" production. The gritty realism of its locations, the lack of artifice in its story, and the lower depths of its characters shocked audiences and the industry alike. The film remains thoroughly modern. Sternberg's images thrive on composition and stasis. His ending resolves nothing and yet everything is different. 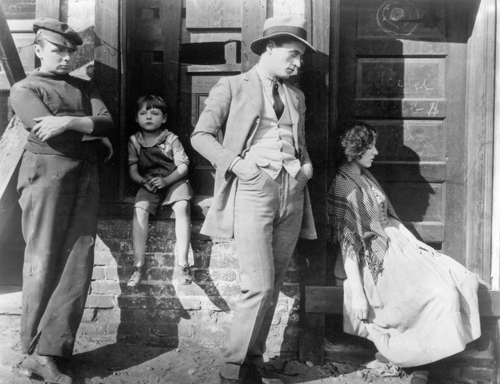 THE SALVATION HUNTERS made a star not only of Sternberg, but also of Georgia Hale, who would play opposite Chaplin in THE GOLD RUSH. The great Irish tenor John McCormack made his talking picture debut in this sentimental drama. He stars as Sean, a disconsolate concert singer who retires to a country village until the unexpected return of his former sweetheart and her two children inspires him to resume his career. In English-speaking countries, the film was released in an all-talking version (shown here), but a special version with additional songs and silent intertitles (samples showing after) was prepared for international release. The typical Borzage film of the early ‘30s was characterized by pictorial lyricism and a tender portrayal of young lovers who find poetry and beauty in the midst of poverty. 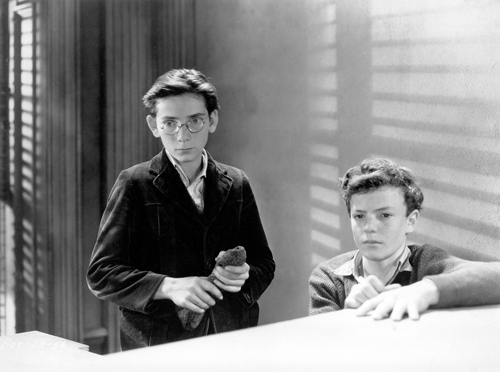 In YOUNG AMERICA, Borzage's usual pair of lovers was replaced by two male school chums in their early teens, Art Simpson (Tommy Conlon) and Edward "Nutty" Beamish (Raymond Borzage, the director's nephew). 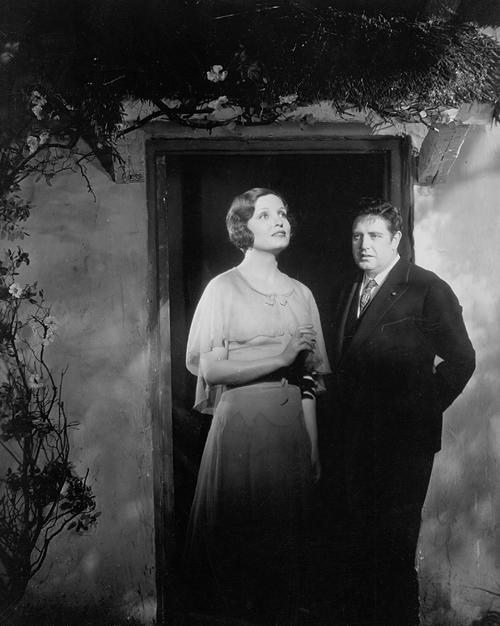 Borzage so invests their friendship with chaste ardor and transformative power that the young actors easily outshine stars Spencer Tracy and Doris Kenyon, who play a married couple that takes responsibility for Art after a scrape with the law.